1. 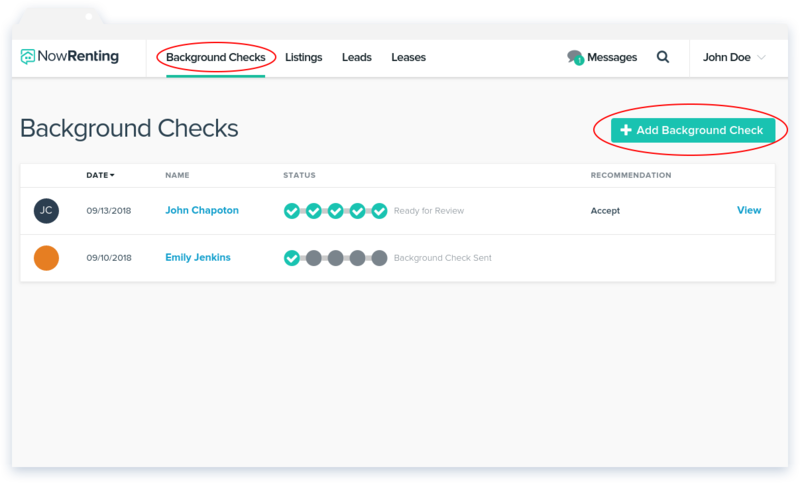 Navigate to the Background Checks screen at nowrenting.com/background-checks and click the Add Background Check button. 2. 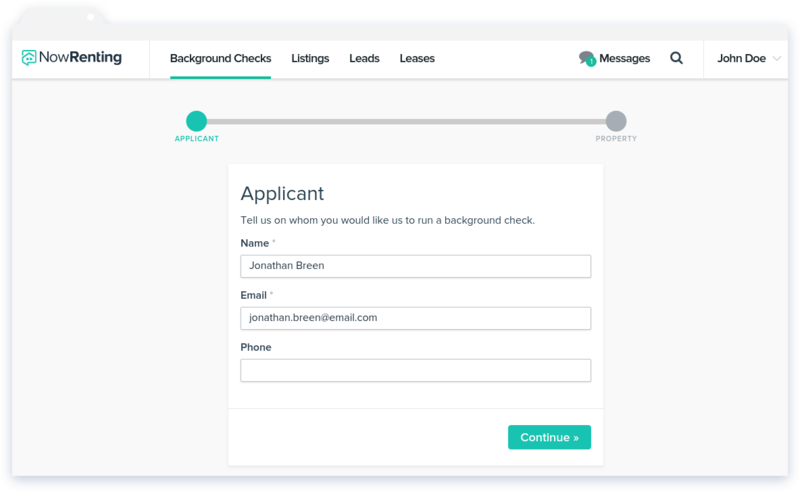 Enter the applicant’s contact information. 4. 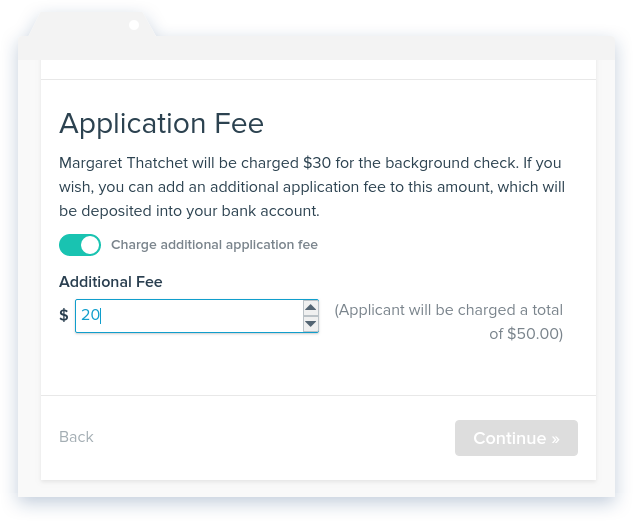 Enter the extra amount you wish to charge, and click the Continue button to finish the background check request process. 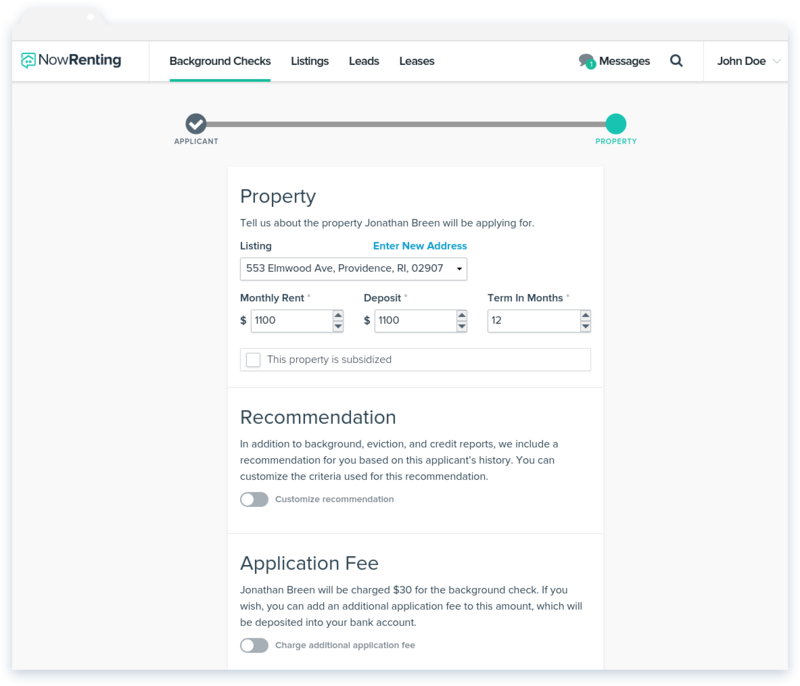 The applicant will be charged a total of $30 plus the additional amount you entered.